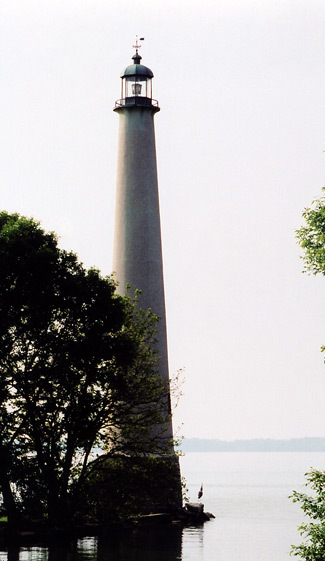 This lighthouse is located in one of the Great Lakes states but is NOT located on any of the Great Lakes. It was built in 1923 and, at one time, was an active aid to navigation. This light can be called by one of two names and was built as a tribute to one of Europe's most famous lighthouses. Question: What is the name (either one) of this light and in which Great Lakes state is it located? Built as a tribute to the Eddystone Lighthouse. Wow, I would have guessed New York somewhere... Nice work figuring this one out! I never even heard about that lighthouse. I will have to stop and find it the next time I am in Ohio. on another light in Ohio.